Whether they are diving into a ball pit full of play balls or using them to play catch, this set will bring hours of entertainment to kids. The carry bag is ideal for storing away the bright and vibrant balls. 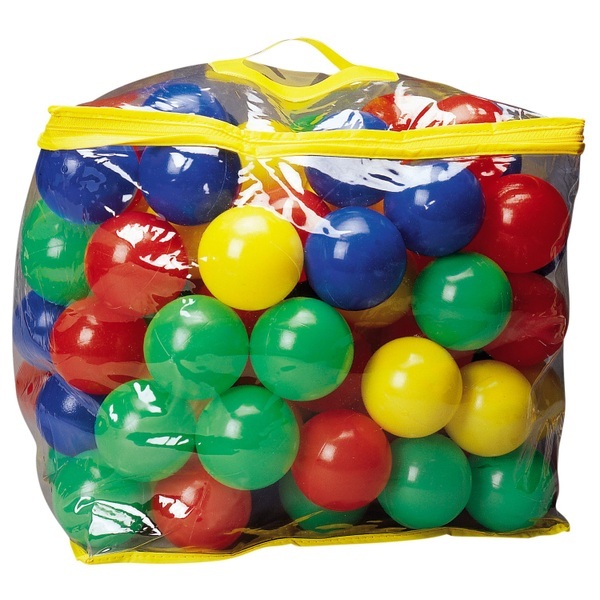 These 100 balls are 6cm in diameter and come with a carry bag. EU Warning: Not for use by children under the age of 12 months due to Choking Hazard. To avoid danger of suffocation, keep this plastic bag away from babies and children under 36 months.